WWF and Greenpeace, both of which are members of the Stakeholder Advisory Committee (SAC) – a committee established by the APRIL Group to oversee the implementation of its Sustainability Policy – have declared that APRIL must abide by the decisions made by the Indonesian government in the wake of the peatland violationsperpetrated by the APRIL subsidiary, PT RAPP, in its concession on Pulau Padang, in Sumatra’s Riau province. As a logical consequence of the peatland violations which were confirmed in a first-hand inspection by Peat Restoration Agency Chief Nazir Foead to the location of the incidents (Sep 5), the Environment and Forestry Ministry asked the APRIL subsidiary to revise its 10-year work plan to bring it in line with the government’s current commitment to protect peatlands. The ministry also provisionally suspended PT RAPP’s operations until it has completed tahe revision of its work plan. “The APRIL company of course needs to revise its 10-year work plan so that it reflects APRIL’s existing sustainability policy,” Aditya Bayunanda, Forest Commodity Leader at WWF-Indonesia, told foresthints.news on Wednesday (Sep 14). Meanwhile, Secretary General of the Environment and Forestry Ministry, Dr Bambang Hendroyono, said that his ministry is in the process of formulating some quick measures in response to the imposition of the three-month suspension on the operations of the APRIL concession on Pulau Padang. “All relevant concerns will be incorporated into the revision process of the 10-year work plan of PT RAPP, particularly with respect to Pulau Padang. I have been appointed by our minister to take the lead in this process,” the Secretary General told foresthints.news on Friday (Sep 16). According to Bambang, the APRIL company may not use the 2013 work plan as a justification for clearing and draining peatlands in its concessions, including the development of new canals. In fact, in early November last year the Environment and Forestry Minister published a circular letter expressly prohibiting such operations. “This circular letter made it clear that any such activities which damage peatlands are not allowed. In light of this, the APRIL company should give priority to revising their 2013 10-year work plan, and in doing so obey the demands contained within the circular letter,” warned the Secretary General. It should be noted that the circular letter clearly stated that pulpwood and palm oil companies need to revise their 10-year and annual work plans to adjust to the ban on the clearing of peatlands. 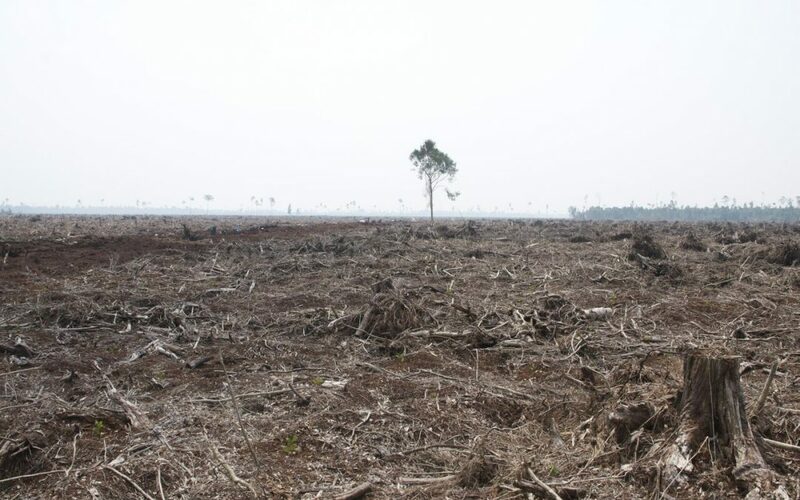 This means that it is completely irrelevant for pulpwood companies, such as the APRIL subsidiary, to say that they are referring to their 10-year and annual work plans in terms of peatland clearances, as this company has recently done. The head of the agency, Nazir Foead, immediately organized a field inspection, together with forest rangers and officials form the Environment and Forests Ministry, but PT RAPP sent the security to prevent the inspection.